Are you spending too much time watching television? Want a quick and easy way to limit your viewing? Watching TV can be relaxing and entertaining, but it can also damage your health. Sitting in front of a screen for hours on end makes you lethargic and lazy, keeping you occupied but not contributing to your quality of life in any real sense. 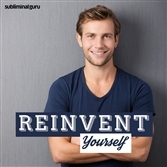 With the Switch Off TV Addiction subliminal session, you'll re-ignite your passion for real life experiences! 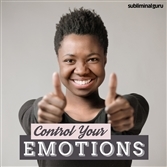 As you listen, thousands of powerful positive affirmations will rewire your mind, helping you avoid watching too much TV. You'll start to crave activities away from the television, eager to experience everything that life has to offer. 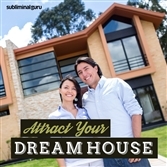 You'll rediscover hidden energy reserves and be bursting at the seams with new-found enthusiasm and excitement. 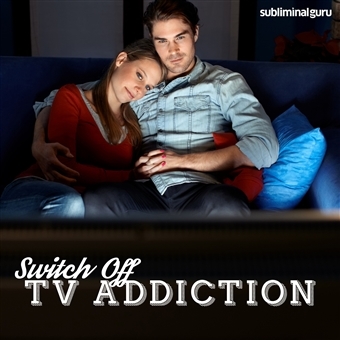 Download the Switch Off TV Addiction subliminal audio now to enjoy a busy and fulfilling life in the real world. I avoid spending hours in front of the TV. Real life is more exciting than television. I can switch off the TV whenever I want to. I am able to limit my television usage. I am in control of my TV viewing habits. I spend my time doing more productive things. I interact with real people rather than watching TV. I avoid turning on the TV in the daytime. Time away from the TV is exciting and fun. I stay active and avoid passive activities. Switching off the TV is easy for me. Every day I find it easier to avoid watching TV.